His real names at birth were Joseph Levitch; he was born on March 16, 1926 in New Jersey. At the start of his career he renamed himself to Joey Lewis but decided to change it to avoid confusion with then well-known boxer Joe Louis and comedian Joe E. Lewis. Jerry started his career at the tender age of 5. He later met singer Dean Martin in New York, partnering and working together to become the biggest acts of the time. Lewis and dean starred together in 16 films, the last one being HollyWood or Bust in 1956 which grossed over $3 million in box office. 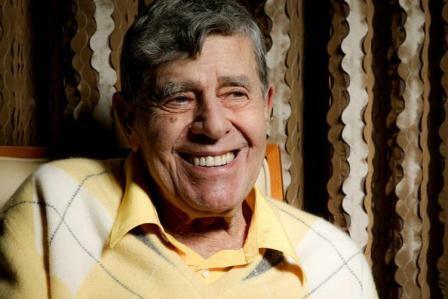 A statement from John Katsilometes stated that Jerry Lewis died peacefully today at his home in Las Vegas, Nevada with close family members by his side. According to John, the 91 year old entertainer died of natural causes. Jerry Lewis was married to SanDee Pitnick, a former dancer. The icon leaves behind seven children; Gary, Ronald, Scott, Christopher, Danielle, Anthony and Joseph. Previously Lewis was married to former singer Patti Palmer between 1944 to 1980. It’s very probable that his wealth will remain in the family. Having had health issues months prior to his death, it’s very likely that Jerry left behind a will on how his wealth would be handled upon demise. Lewis net worth had risen steadily over the years and at the time of his death he has an estimated worth of $50 million. Jerry’s income was one of the talked of subjects in the 1950’s and 60’s since he was the highest paid entertainer in the world at the time. Most of his wealth was earned while working alongside Dean Martin.